Friendly service, local ownership, and the taste I had in the store of their salted caramel was delicious! Amazing! Best ice cream in Boston!!! If you love ice cream don't spend your money anywhere else! Highly recommend! Easy to use and fun to try a new place!! It was a pleasure visiting Boston Ice Cream Factory. I cannot wait to devour my Oreo Ice Cream cake. Place was okay, the cake price was decent. The staff icing the cakes was rude but the lady who helped me complete my sale and wrote on the cake was very nice. Only giving it a 4 because the lady icing the cakes was rude. Cake was great but the employee answering the phone and taking my order was rude and very hurried. She didn’t explain things very well and sounded like she just wanted to get off the phone instead of taking my order and making a customer happy. 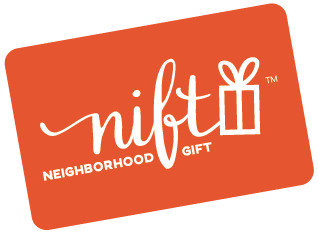 It was extremely easy to redeem the Nift and the ice cream cake was great! The ice cream cake was great! I loved the flavor and it was quick to pick up as well. The staff could be a little more customer friendly; nonetheless, the ice cream is delicious! Friendly staff, quick service, great icecream cake with tasty sprinkles. The employee was very accommodating and nice! The ice cream is delicious! Great service and delicious cake! Thank you so much... it was so easy, the employee was wonderful!